Need help getting a grip on dirt and moisture? Loop pile polypropylene fibers remove dirt and moisture, keeping your home or office clean and safe. The no-slip bottom creates a secure grip to carpets and smooth floors. Equipped with rubber backing and edges. Vacuum or professionally clean. 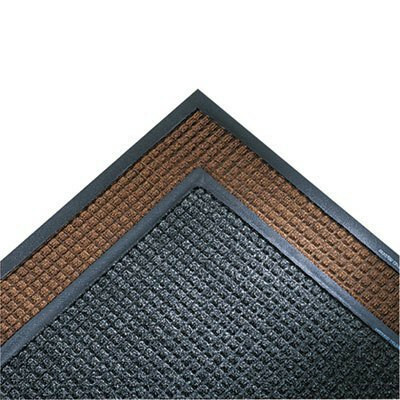 Mat Type: Wiper Mat; Application: Indoor; Material(s): Polypropylene; Backing Material: Rubber. This is a review for the Dark Brown 34 x 119 Super-Soaker Wiper Mat w/Gripper Bottom.